Awesome! I have an actual sheriff pin. 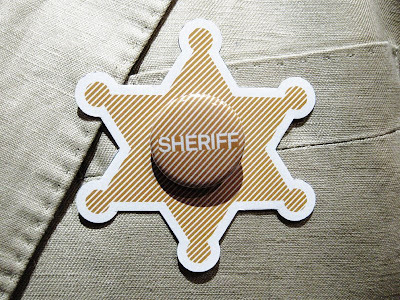 Like, it's in the shape of a star, it's shiny and has 'deputy sheriff' on it. Definitely one of my favourite brooches!